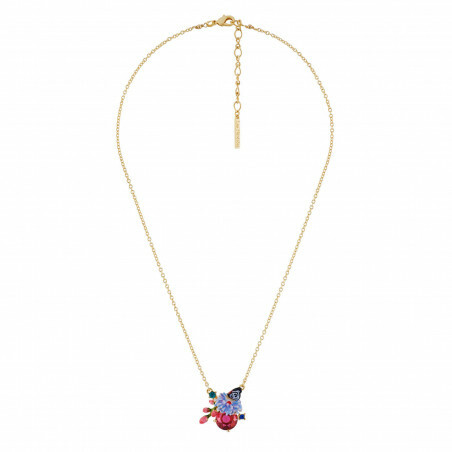 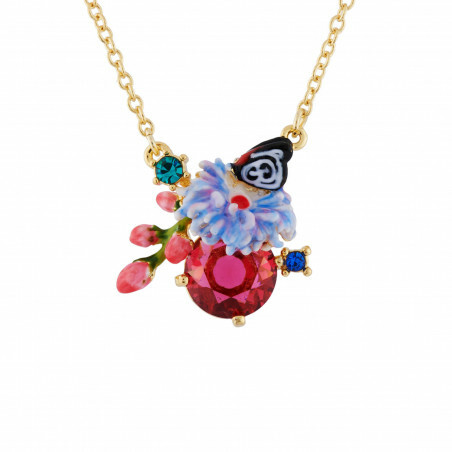 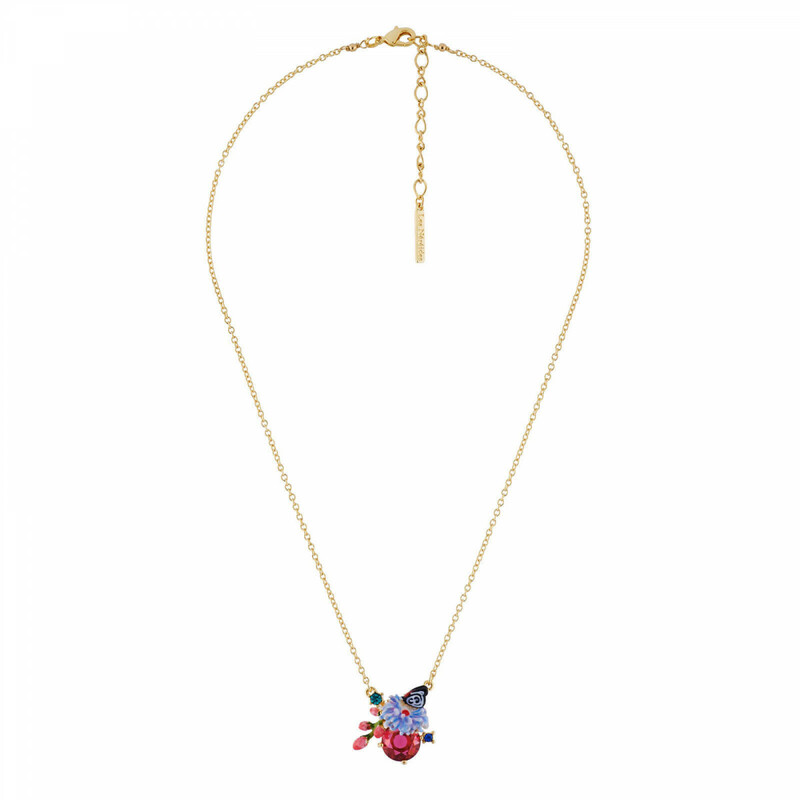 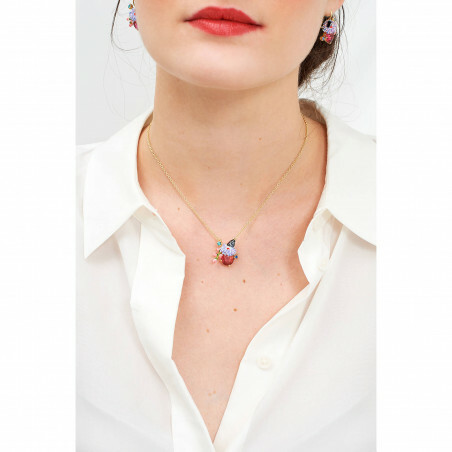 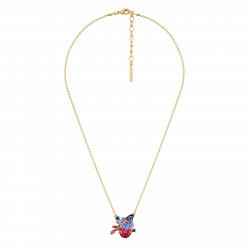 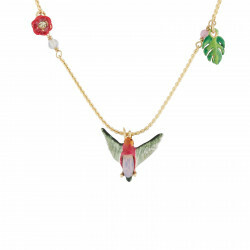 This piece of jewellery is made up of a gorgeous hand carved piece of glass decorated with aquatic flowers, rose buds and butterflies made from hand enamelled brass in pure Néréides Paris tradition. 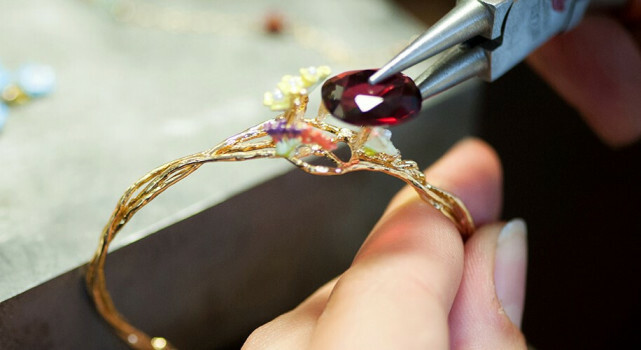 Small rhinestones and carved pieces of glass bring a bit of sparkle to your piece of jewellery. 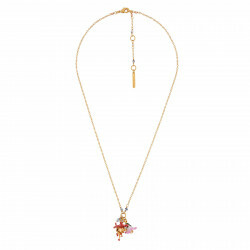 As for the chain it is made of 14 carat gold plated brass.